Who doesn’t love a Muscle Car! It’s the noise, the sweet sound of a V8. 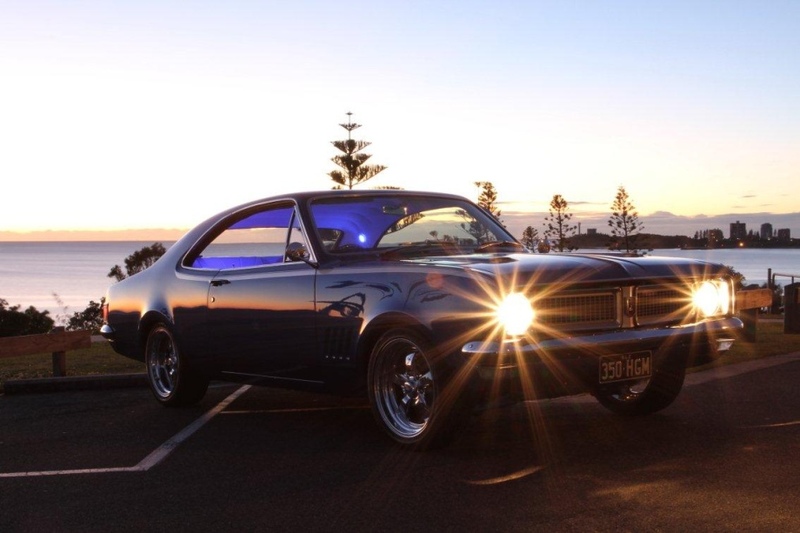 Its old school, harking back to the 60’s and 70’s, to the days of Steve McQueen car chases and watching Peter Brock and Allan Moffat scream their horsepower beasts around Mount Panorama. To an era when gas-guzzlers ruled the roads and no one had ever heard of a greenhouse gas. Those days are long gone, SUV’s and four-cylinder Subaru’s are everywhere today but there is still an undercurrent of big V8 owners who unleash the beasts, usually on a Sunday morning. I’ve owned my Muscle Car for over 15 years, a ’66 Ford Mustang Fastback; it’s got a 347 under the bonnet. Not the environmentalists’ car of choice. Regardless, even after all these years, driving it around still gives me a kick. Its an underlying rush, not only with that sweet noise but knowing you’re driving something that was built in the 60’s, an era of pop culture phenomenon highlighted by Jimi Hendrix, The Rolling Stones, Vince Lombardi’s Green Bay Packers and JFK. My car came out of the Ford plant in San Jose, California with its official colour being ‘Tahoe Turquoise”, the shade it is now after Dennis the previous owner took her back to 1966 with the restoration. Its also the looks you get, children pointing and the waves, its people talking to you at a set of lights, at petrol stations and just about anywhere you park it. They want to know when you got it, what engine is in it and about the time they almost bought one. I’ve had people follow me, wait till I parked just to come over, have a chat and take pictures. 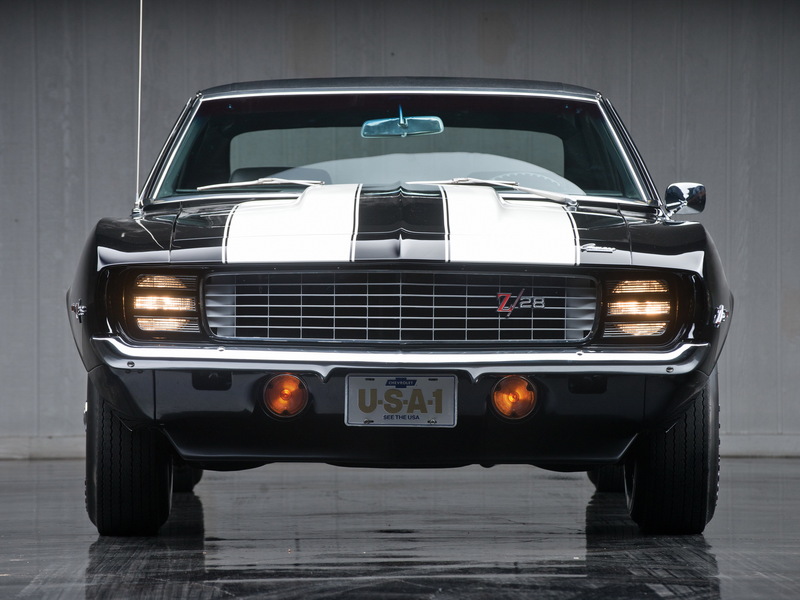 Muscle Cars stir emotions in people, taking them back to the heady days of their youth. 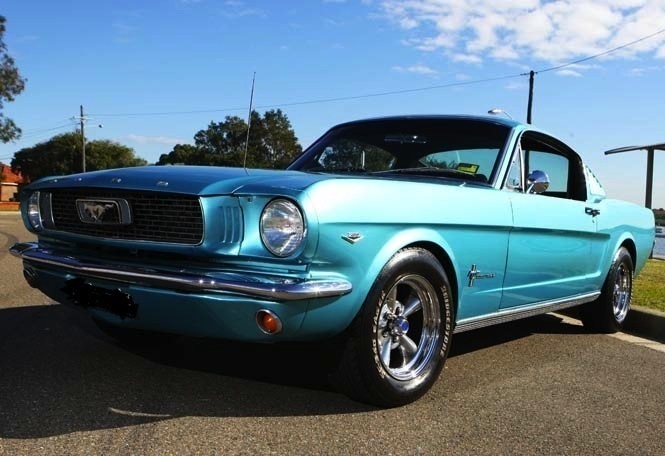 Years ago, before I owned the Mustang, we were out on a Saturday night, down at Cronulla, we’d been to dinner and were driving home, it was late, around midnight, it was a hot night and we had the windows down. As we approached a roundabout I could hear that sweet V8 noise coming up behind us, as one lane became two it came up next to us, it was an early 70’s shiny jet black Monaro, it rumbled along beautifully, a young guy was driving, he looked across at us with a smile and a nod, then floored it off into the night. That was the final straw; a Muscle Car was on my shopping list. Yes, there are no creature comforts, the air conditioning is non-existent, there is only A.M radio, it rattles and shakes and the gauges aren’t exactly accurate (I’ve run out of fuel a few times, although that could be my own stupidity), but I wouldn’t change a thing, Eric Bana loved his V8 beast so much he made a movie about it. I’ve owned a few cars in my life, everything from a white Ford Laser Hatchback, the lawn-bowlers car of choice to a blue two door Pontiac that screamed around the freeways of California. Each one had their own personality but owning a Muscle Car exceeds the lot. They’ll have to bury me in my Mustang because I’ll never sell it, its part of the family, I wouldn’t have it any other way.